Vipin K. Garg, PhD is the President and CEO of Tranzyme Pharma. Tranzyme is a late stage biotechnology company engaged in the discovery and development of first-in-class small molecule therapeutics for the treatment of both acute care (hospital-based) and chronic conditions with significant unmet medical need. Under Dr. Garg’s leadership, Tranzyme has raised more than $50M to date and has advanced two products into clinical development. In 2005, Tranzyme was named one of the top 15 emerging biotechnology companies by FierceBiotech, a leading industry newsletter, and in 2006, Tranzyme’s lead product was featured as one of the five most promising new drugs to enter clinical development by Thomson Pharma’s report, “The Ones to Watch”. In March of last year Tranzyme’s drug, TZP-101, was recognized as one of the “100 Great Investigational Drugs – 2009” by R&D Directions. Dr. Garg is the recipient of the Ernst & Young Entrepreneur Of The Year® 2009 Award in the Carolinas, and has been recognized as a proven entrepreneur as a result of his innovative thinking and business acumen. Dr. Garg is also deeply committed to his family, his business and his community. Under Dr. Garg’s direction, Tranzyme has become an international innovator and developer of drugs for gastrointestinal (GI) disorders. Mr. Sajjan Agarwal is the founder of Sigma Electric, a 1500 employee company with head quarters in Raleigh and 5 manufacturing plants in India. He is the advisor of Pratham. He is major donor of Pratham, Ekal Vidyalaya, and HSNC. He has been honored for his community services by Heritage India of NC. He is very active in every aspects of Indian community. He has also been very active in social activities in India and is currently providing support to 200 college students in India. He is also involved in a non-profit organization, which lends small loans to over 4000 under privileged people. He did his MBA from Michigan State University in 1978. He lived in Detroit from 1978 to 1981 and in New Orleans from 1981 to 1992. He came to the Triangle in 1992. Dr. Afroz Taj, professor of South Asian Languages and Cultures at UNC Chapel Hill, is a writer, poet, singer, and community leader. He has authored 3 books and a cyber-book. He produces a widely popular weekly radio program called Geet Bazaar that has thousands of listeners. 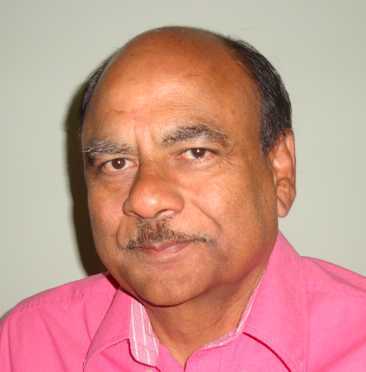 He has been teaching university level Hindi and Urdu since 1983. 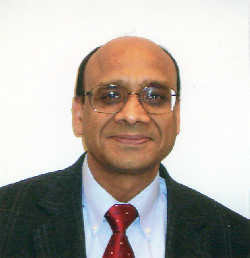 He came to the Triangle area in 1995 to establish a pioneering program of teaching Hindi-Urdu through interactive videoconferencing for UNC and NCSU. 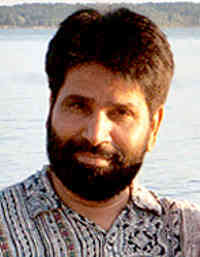 His research interests include Hindi-Urdu poetry and poetics, Indian drama and musical theater, and the Indian cinema. Originally from Kasganj, Uttar Pradesh (near Mathura and Aligarh), he did his undergraduate and graduate studies from Aligarh Muslim University, and his Ph.D. from Jawaharlal Nehru University, while he was at the University of Virginia. He is doing a great job in bringing the South Asian community together. Here is ApnaTriangle interview with Dr. Afroz Taj.